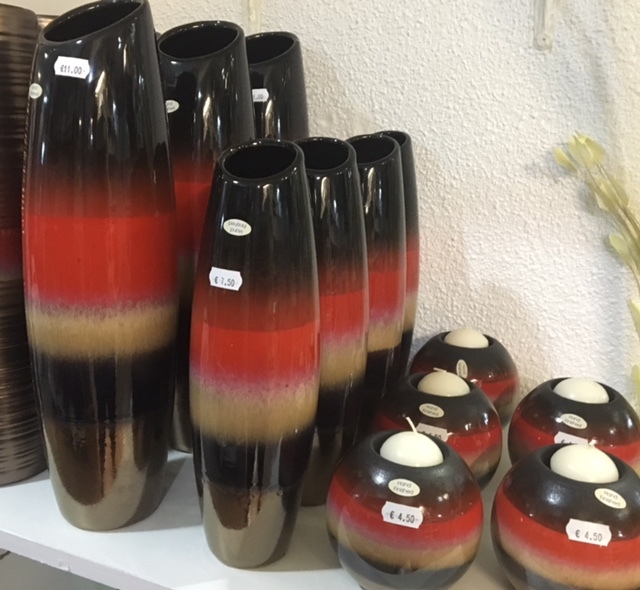 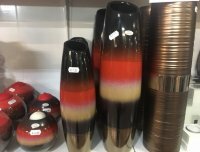 Large selection of vases including clear glass and coloured hand blown. 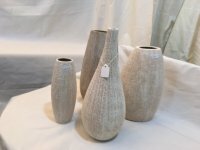 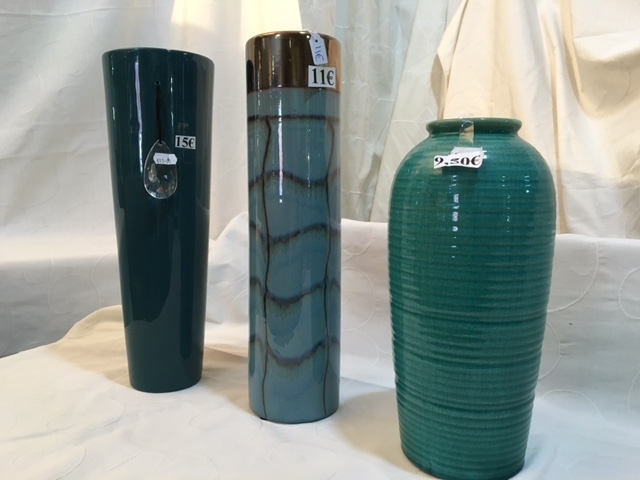 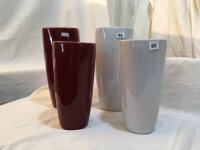 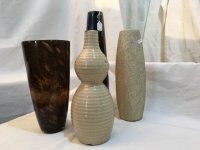 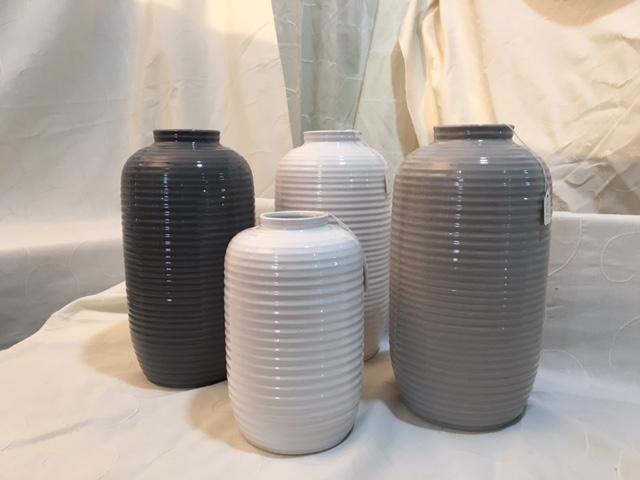 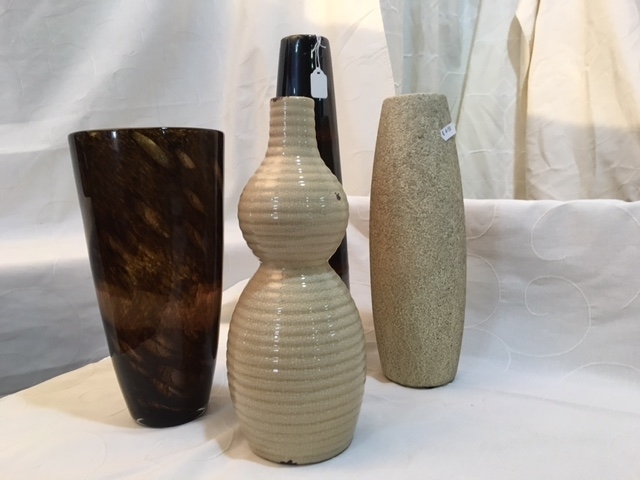 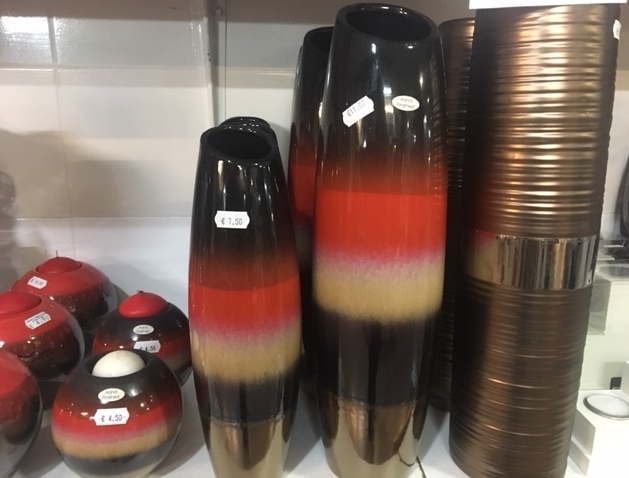 Ceramic vases both practical and decorative. 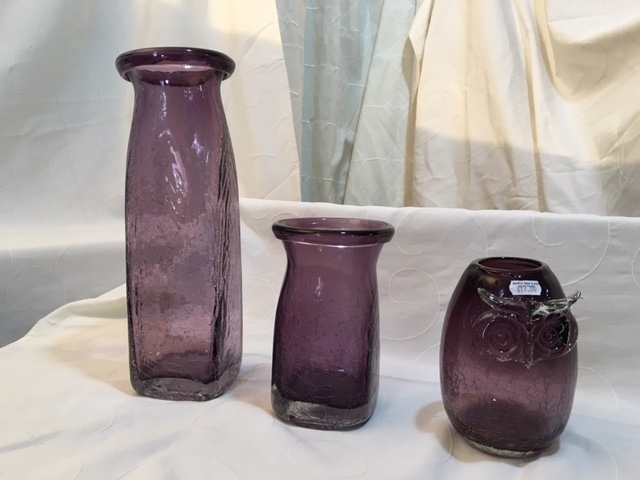 From a small single bud glass vase to a large ceramic vase for a large bouquet of flowers. Included in the photos is a small selection of the vases currently in stock. 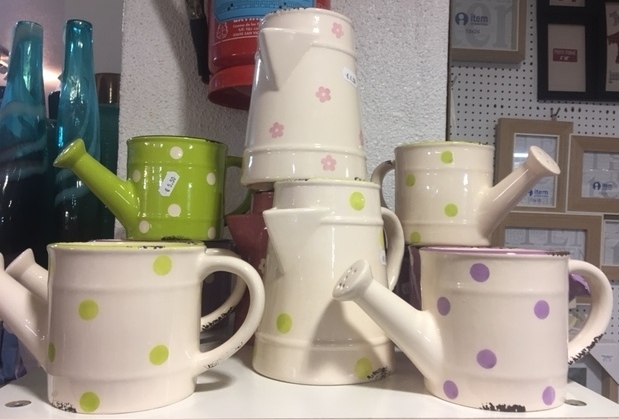 Within the New department located in the main shop there is a much larger selection.